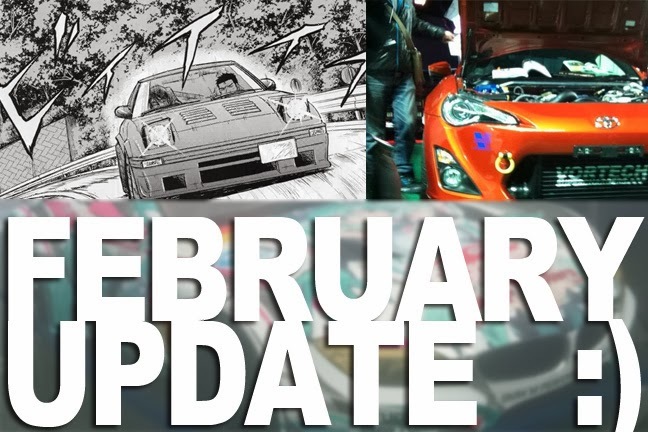 February Update! Super GT, RPM, Fukuoka Custom Car Show! RPM: RPM is steadily continuing forward. I've linked all the issues on it's page at the top of the blog. Also, I'm continuing on working to add the links at the bottom of each page. I hope this makes it easier for everyone to enjoy. Super GT: Finally posting the Video for Super GT Kyushu. I've been burried in video work, and I've been lazy. No excuses...it will be up this week. Get ready. Fukuoka Custom Car Show: Went to the Fukuoka Custom Car show last weekend, and shot video. I'm not a van of the fish eye adapter that I had, and I think the video quality will suffer. Let's see what we can do with it. Also I will be posting a review of this fisheye adapter. Really disappointed, because in the skate world, the Baby Death gets such praise.... I just don't see it. Other: I am working on getting a store on here. It will be kind of primative, but until I can get my views and revenue up, I can't afford to pay a monthly fee. We will see how all of it goes... I want a full functioning store by the end of the year. Also, I have a lot of video to post, and I think that generally you will see the amount of video that shows up on the blog increasing. Thanks for everyone that has hung with me so far. I see a general rise in traffic, and it makes me want to continue. Don't forget to like my facebook page, www.facebook.com/exitevideomagazine, and add me on twitter: @eXiteVM .